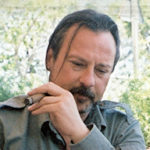 Steve Anchell has been leading workshops to Cuba since 2001. Working with internationally exhibited Cuban photographers, Steve takes his students to places most photographers would never experience without him, and other workshop leaders don't know exist. His workshops are designed to give each participant individual attention, and maximum freedom to explore on their own, should they prefer. Steve works with everything from cell phones to large format cameras. If you're looking for an adventure with your camera, travel with Steve. From 1999 to 2004 Steve taught street and documentary photography for the International Center of Photography in NYC. From 2009 to 2014 he taught film and digital photography at Oregon State University. He's the author of The Darkroom Cookbook, 1994, The Variable Contrast Printing Manual, 1996; The Film Developing Cookbook, 1997; and Digital Photo Assignments. His fifth book, The Mirrorless Interchangeable Lens Camera, will be published in 2018 by Focal Press. "Your [Cuba] workshop was the best I have been to and I have been to about 25 including Nikon, Ansel Adams, John Sexton, Al Belson, Reed Hoffman, ..." -Melvin Cohen, DDS, Trabuco Canyon, Calif. "I will repeat myself and say what a great time I had, and how much I learned, making photographs and drinking Mojitos with you in Havana." -John Sarsgard, Easton, Conn.